VICTORIA, B.C. — The relationship with both Cal Baptist and Washington State universities will be in full view again in 2019 for fans at Wilson’s Group Stadium at Royal Athletic Park (RAP). As well, a member of the Cal Bears is shifting to Victoria from another West Coast League (WCL) team for 2019. The HarbourCats are pleased to announce that two more Cal Baptist players — including returning infielder Harrison Spohn — will be on the roster, joining previously announced outfielder Nick Plaia. Spohn, 6-3/190, a sophomore from Uplands, CA, last year’s player-of-the year in Plaia, a junior from Santa Clarita, and left-handed pitcher Mason McGarvey, a freshman from West Covina, will represent the Lancers with Victoria this summer. McGarvey is 6-3/190 with a heavy fastball, and is expected to be in draft discussions when his third year of NCAA-Division 1 baseball is under way. 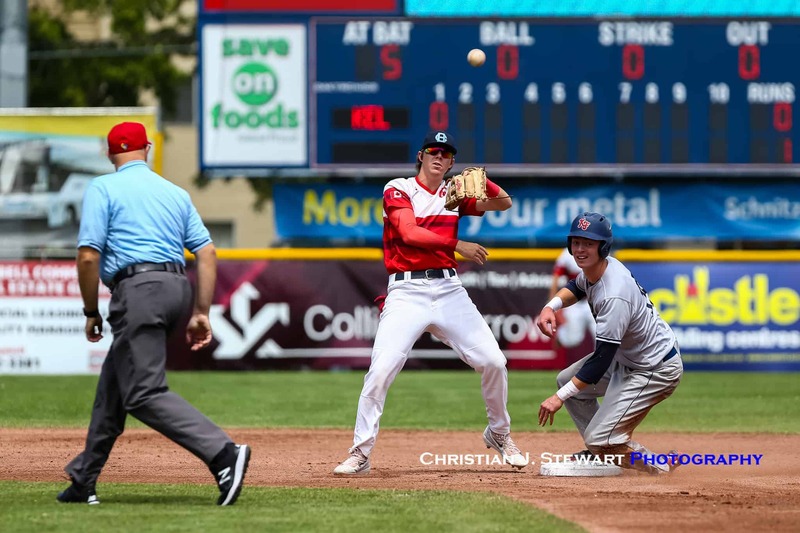 Spohn, who can play any spot in the infield, was one of the best defensive infielders in the WCL last year, and a strong second half lifted him to two home runs, seven RBIs and a .200 average. Plaia had 19 stolen bases and 12 doubles while hitting .266 with a .376 on-base percentage. RHP Zach Espinosa, who pitched for the Portland Pickles last year, is also joining the HarbourCats, looking forward to having a summer experience in Victoria. Espinoza is 6-3/190 from Irvine, CA, and saw action in six games with the Pickles in 2018, finishing with a 1-1 record. 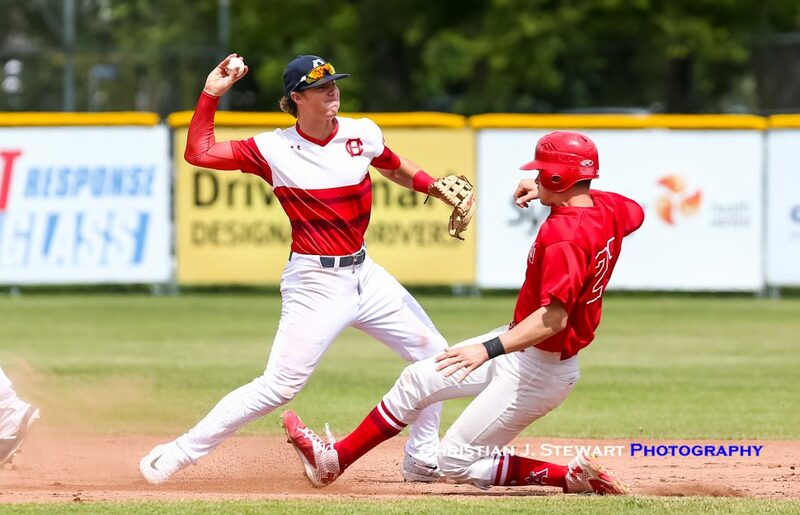 Due to arrive from Pullman, WA, home of the Washington State Cougars, are three players — outfielder-catcher Koby Blunt, and right-handers Connor Barison and Trevor Ichimura. Blunt, a freshman from Asotin County in Washington who can also pitch, is 5-11/166 and was MVP of his high school league. Barison, from Redmond, WA, is a 6-4/183 arm known for swing-and-miss stuff. Ichimura is from Iolani HS in Mililani, Hawaii, continuing the history of Hawaiian players developing with the HarbourCats. Two-for-One Military, First Responder Season Tickets in November! To honour our military members, first responders and their families, the HarbourCats are offering two-for-one season tickets! Click HERE to learn more and take advantage of this great offer! 2019 SEASON TICKETS and FLEX PACKS NOW ON SALE! 2019 Season Tickets and 10-game Flex Packs are now on sale! Lock your seats in soon before single-game tickets go on sale later this month! 2019 10-game Flex Packs are also on sale at the same prices as 2018 – $120 for 10 General Admission vouchers and $175 for 10 Premium Reserved Vouchers. To order season tickets or 10-game flex packs, drop in to the office at 1814 Vancouver Street (open 10 AM to 5 PM Tuesday thru Friday), or give us a call at 778-265-0327. You can also e-mail Christian J. Stewart, our Assistant General Manager, Ticketing and Media at chris@harbourcats.com. Single-Game Tickets will go on sale later this month! With our 2018 season now being complete, our off-season office hours (to December 1) at 1814 Vancouver Street are now 10:00 am to 5:00 pm Tuesday through Friday. We are closed (or by appointment only) on Monday, Saturday and Sunday.